Singing is a wonderful way to support children’s early math lessons. Using songs with counting and actions lets children practice the pattern of numbers, have fun, and use their whole body for active math. 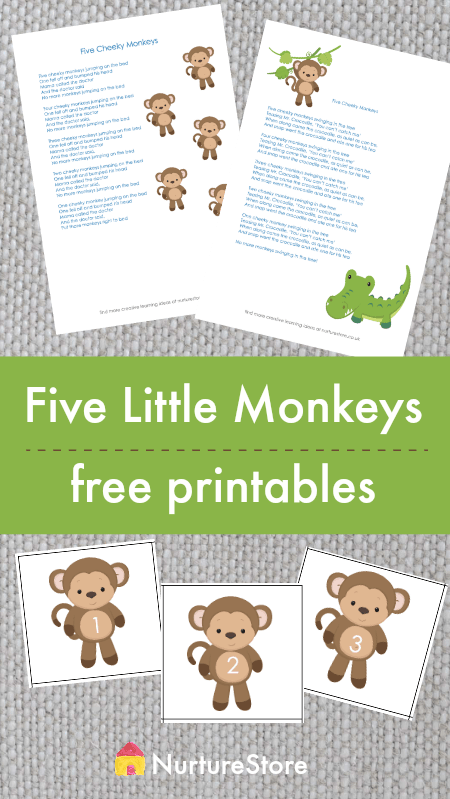 You can use this monkey printable to learn the ‘Five Cheeky/Little Monkeys’ counting songs, and use the monkey number cards for a variety of math activities that teach important early skills through hands-on, playful lessons. The songs count down from five to one, introducing the idea of subtraction in a fun way. What’s included in the monkey math printable? Print the song lyrics and number cards on white card. Cut out the counting cards. You might like to laminate them for durability. :: You can use the monkeys in a sensory tub or jungle-themed small world to help create a number-rich environment for your children. :: Set the monkey number cards out with play dough and loose parts and invite your children to make a jungle small world. :: Hide the monkey cards around the room and see if your children can find them all. Can they line them up in number order, from biggest to smallest, and from smallest to biggest? :: Peg up the monkey cards to make a number line. :: Teach your children the two monkey songs included in the pack. These are classic children’s songs and are wonderful for playful math. Both songs count down from five to one, and you can add in actions to have fun and use your whole body as you sing. 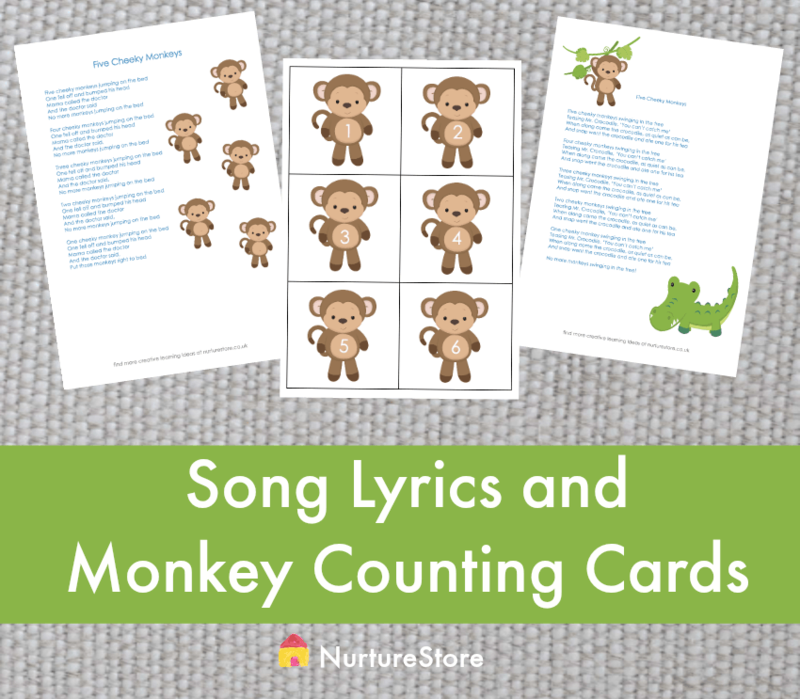 :: Set out the monkey number cards as you sing, asking one child to take away a monkey for each verse to give a strong visual element to your countdown song. This is the beginning subtraction arithmetic skills.